Fleet operators nationwide rely on South Bay Ford’s commercial expertise in order to keep their perishables cool and fresh. Today, more than ever, vehicle refrigeration units are more efficient, reliable, and flexible in order to adhere to the transporting demands that businesses require. Drivers are now afforded the luxury and convenience of setting a precise temperature, adjusting airflow, and utilizing the most effective settings to accommodate the climate-sensitive load they are carrying. With a variety of reefer units at their disposal, it’s imperative that operators have the ability to manipulate humidity and temperature settings for a number of storage conditions. Fortunately, South Bay Ford’s team of professionals is here to help. Improving load safety and longevity are just some of the many reasons to upgrade your refrigeration fleet leading up to spring and summer. By installing refrigeration systems that ensure optimal environmental conditions and maintenance parameters, drivers can rest assured that their loads will arrive as fresh as possible. Other advantages include state-of-the-art fuel sensor technology that presents fuel level information immediately and accurately. Another impressive feat lies within the control system where smart refrigeration controls can be found, allowing remote sensor monitoring. In addition, contemporary refrigeration units are much more energy-efficient and environmentally dynamic, using ozone-safe refrigerants to maximize operation. Class-leading industry manufacturers, such as Thermo King and Carrier, are at the forefront of transport temperature control systems. By taking advantage of South Bay Ford’s outstanding positive rapport with these reputable and experienced upfitters, you know you’re in good hands. As you refrigerated headquarters, prolonged freshness of your goods is our number one priority. 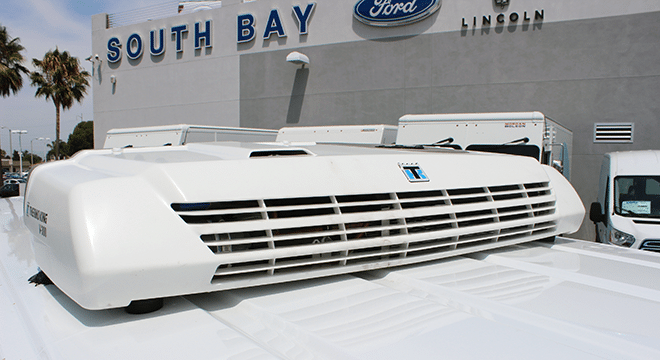 Thanks to South Bay Ford’s outstanding rapport with innovative manufacturers, precise control modules and reduced fuel consumption highlight South Bay Ford’s glowing reputation within the commercial refrigerated truck sector. 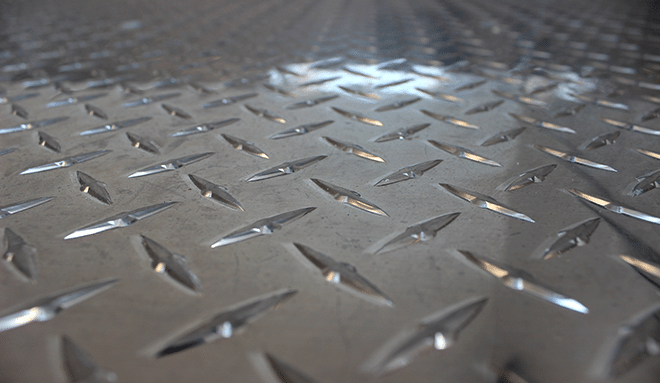 Simply choose from our impressive array ofE-350 vans, E-350 cutaways, F-650 chassis cabs, Transit, and Transit Connects, and together we will build a beautiful vehicle that fits your criteria. Contact us today and learn more about how you can ensure that temperature-sensitive loads will arrive in immaculate condition in your new refrigerated fleet vehicle.